Gionee launched two Marathon M series smartphones namely the M6 and M6 Plus, today, in China. In this article we will take a look at the Pros & Cons and Common Queries about Gionee Marathon M6 Plus. M6 Plus is priced at CNY 2,999 (Rs. 30,200 approx) for 64 GB variant and CNY 3,199 (Rs. 32,300 approx) for 128 GB variant. 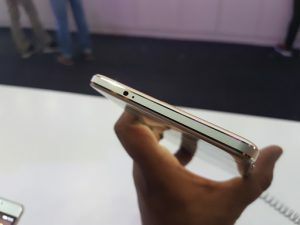 It has a metal body and also features a fingerprint sensor at the back. Like the other Marathon M series phones, it also packs a massive battery. It is backed by a 6,020 mAh battery. May hinder one handed usage for some. Answer- Gionee Marathon M6 Plus is a metallic unibody phone, which means the battery cannot be removed. It has metal all over which give the phone a very premium feel. It has a 6 inch display with 2.5 D curved glass. The phone can be handled with one hand but usage may require both the hands. 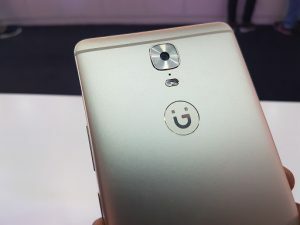 The back has nice camera detailing and Gionee logo in the center. It has a physical Home button on the front with inbuilt fingerprint sensor. Answer – Marathon M6 Plus has a 6 inch AMOLED display with a screen resolution of 1920 X 1080 pixels. The display has good color reproduction and very nice viewing angles. Answer – It is powered by a 1.8 Ghz Octa core processor with MediaTek Helio P10 MT6755 chipset and coupled with 4 GB RAM. Talking about the storage it is launched in two variants in China, with 64GB and 128GB internal storage options which can be further expanded up to 128 GB via microSD slot. Answer – Gionee M6 Plus is backed by a massive 6020 mAh battery which can last for 2 or even 3 days under normal usage conditions. The battery is non removable. Answer – Yes, a 9V/2A charging ensures fast charging. Gionee also claims that charging will be safe and cool. 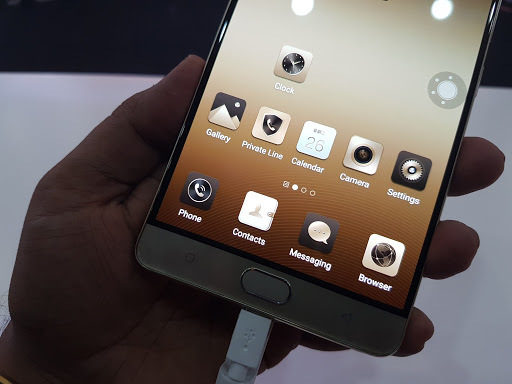 Question- Does Gionee Marathon M6 Plus Have Dual SIM Slots? Answer – No, it does not have a 3.5mm audio jack. 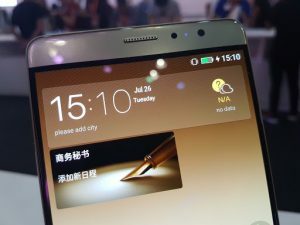 Question – Does it have a Fingerprint sensor? Answer – Yes, it has a fingerprint sensor that is inbuilt in the home button. 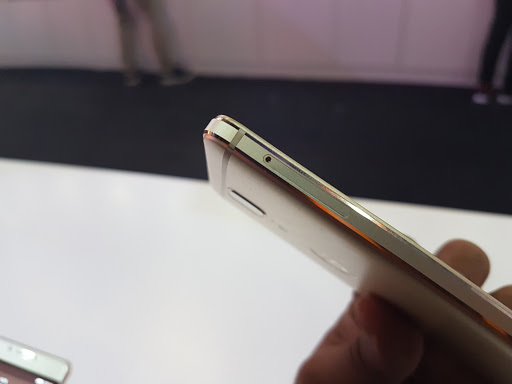 Question- Does the Gionee Marathon M6 Plus Have microSD Expansion option? Answer- Yes up to 128 GB. 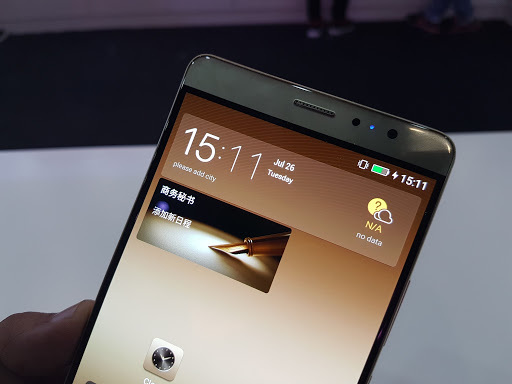 Question- Does the Gionee Marathon M6 Plus support Adaptive Brightness? Answer – Connectivity options are same as Marathon M6. They include Wi-Fi, GPS/AGPS, Bluetooth, WLAN, USB OTG, Micro-USB port and 4G LTE, 3G, GPRS/EDGE. Question- What are the camera specifications? How is the camera quality on Gionee Marathon M6 Plus at first glance? Answer- It has a better 16 MP rear camera with dual LED flash as compared to the Marathon M6. On the front it is also equipped with a 8 MP shooter. Answer – It has all the necessary sensors like Proximity sensor, Ambient light sensor, Accelerometer. Answer- 2.8GB of RAM was free out of 4GB RAM on the first boot. Answer- 54GB is free in the 64GB variant on the first boot. 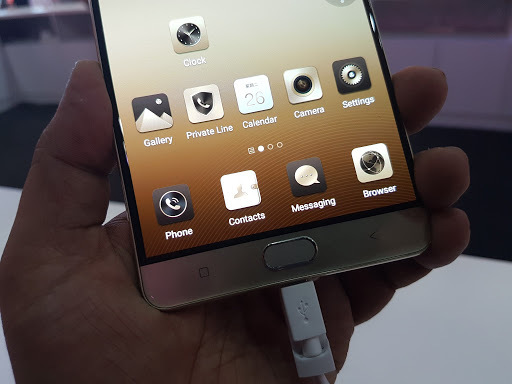 Question- How much does Gionee Marathon M6 Plus weigh? Answer – It weighs around 215 grams. Question – Does Gionee Marathon M6 Plus has any special features? Answer – Yes, it also have data encrypted chips like the marathon M6. Answer – Data encrypted chips basically protects the users from malware and also secure IM communication information from being decrypted easily. Question- Can you move apps to SD card on the M6 Plus? Question- Does the Gionee Marathon M6 Plus offer theme options to choose from? Answer – Yes, you can also download more themes from the web. Question- What Color Variants are Available for Gionee M6 Plus? Question- What are the dimensions of Gionee M6 Plus? Answer – its dimensions are 160.5×80.6×8.2mm. Answer- It is inbuilt in the Home button, which is on the front as usual. 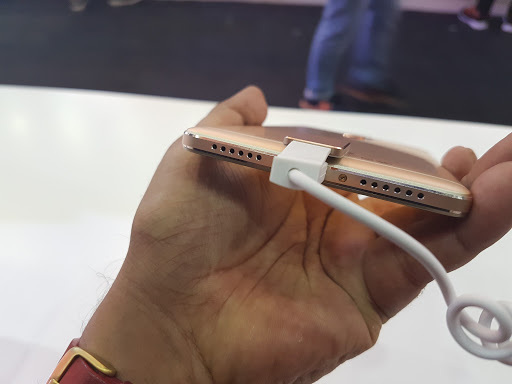 Question- Can the Gionee Marathon M6 Plus be connected to a Bluetooth Headset? Gionee Marathon M6 plus perfectly meets the expectations we have from a Marathon series phone with its massive 6020 mAh battery. Again, the other highlight of the phone is the Data encryption chips, that is limited to the China version. Other than that it has a premium look, large display, latest OS, more than enough RAM and storage, very good camera and a fingerprint sensor among others. The phone will reach India most probably by August, it will surely attract much limelight.